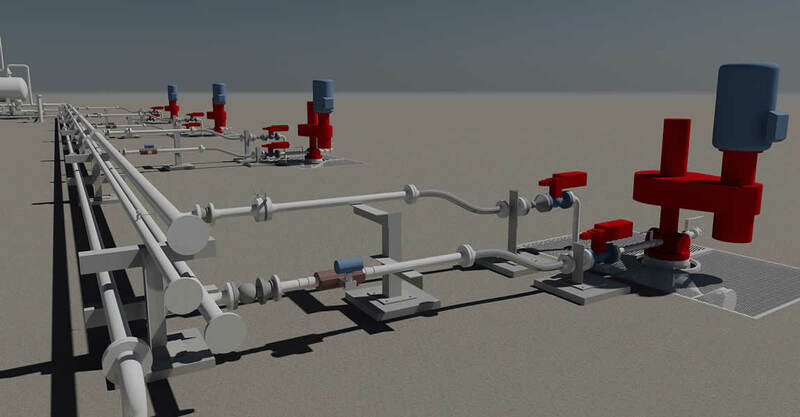 Autodesk Simulation CFD software helped Finish Thompson’s engineering team gain insight into pump performance early in the product design process—allowing them to cut development time and substantially reduce the amount of physical prototyping and testing required. Finish Thompson, based in Erie, Pennsylvania, is a designer and manufacturer of chemical process, drum, and barrel pumps. The company recently developed a new line of magnetic drive “DB series” pumps that can help save its customers thousands of kilowatt hours per year on their electric bills. 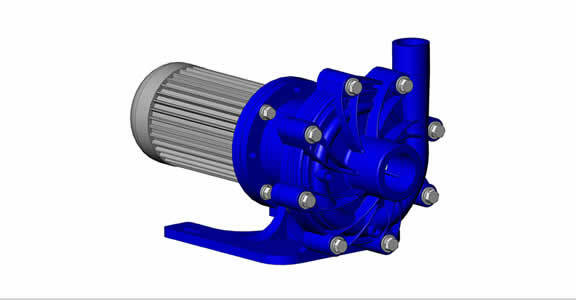 By using Autodesk CFD software in the design process, Finish Thompson not only was able to double the efficiency of its DB series pumps, but also reduce total product development time by an estimated 33%. In addition, testing time was cut from six months to six weeks. Autodesk CFD works directly with the native geometry of the SolidWorks CAD software that Finish Thompson engineers used to create the product model. 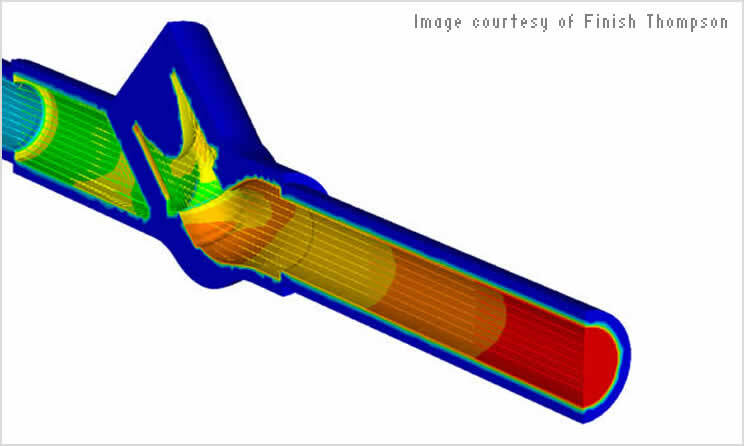 This helped eliminate the time- consuming process of translating CAD geometry to fit the parameters of the CFD software. 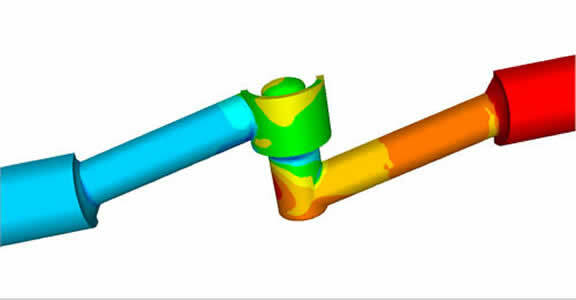 Based on the results of simulations, Finish Thompson made alterations in SolidWorks, adjusting vane angles, width, and thickness; changing the impeller diameter; and manipulating the housing diffusion angle. After each design change, Finish Thompson engineers used the Design Review Center in Autodesk CFD to make an interactive comparison of all design options. 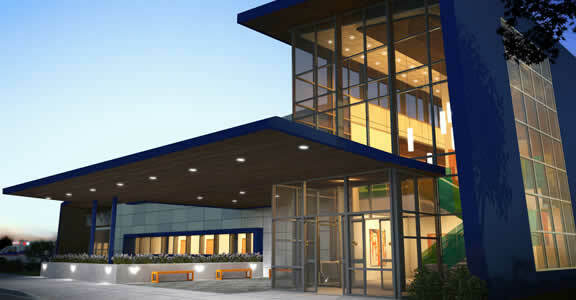 Trade-offs and next steps were quickly agreed upon and design modifications were made in SolidWorks. Autodesk CFD allowed Finish Thompson engineers to gain insight into pump performance early in the product design process, helping them to cut development time and substantially reduce the amount of physical prototyping and testing required for the DB series. While customers are already bene ting from the doubled efficiency of Finish Thompson’s new DB series of pumps, the company is reaping the rewards of being able to test many more design elements about three times as fast as within a lab environment. 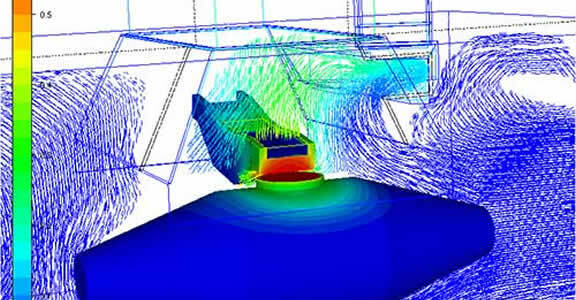 The company is using Autodesk CFD to further expand its DB series of pumps and also develop a new self-priming pump. By converting from manual processes to BIM, Conval saved considerable amounts of time and money in creating its product catalog. Improved design accuracy helped the firm communicate more effectively with the client, and work faster and more efficiently. BIM helped accurately optimize ventilation volumes, hood configurations, and more for the new blast furnace without costly physical testing. By gaining insight into pump performance early, the engineering team cut development and prototyping time substantially.